In 2009 Gregory Landua started a chocolate business with the intention of connecting cacao growers practicing sustainable agriculture with chocolate lovers in North America. Cacao, the raw ingredient of chocolate, has long been a sacred plant that now is traded as a commodity on the world market. Often cacao production is associated with slave labor and environmental degradation. 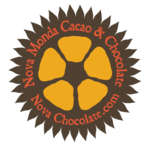 Greg and his business partners had a different vision for their chocolate business, now called Nova Monda Cacao & Chocolate. They connect farmers and chocolate consumers directly by working with cooperatives and small cacao farmers in Nicaragua and Ecuador, paying fair prices and purchasing directly from the farmers and co-ops. They also participate in ecological harvest and community development projects, further enriching the lives of people in these far off communities. To find out more, you can visit their website at http://www.novachocolate.com/.